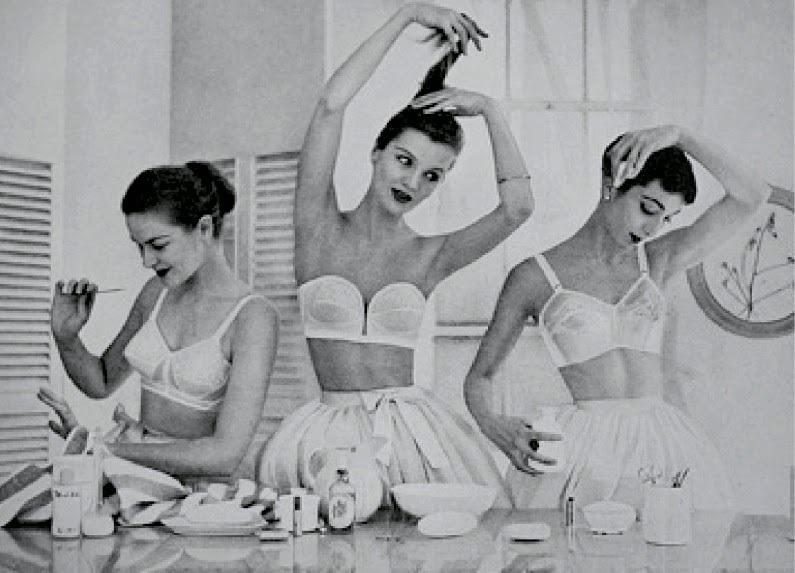 November 3, 1914, New York socialite Mary Phelps Jacob patents the design for a backless bra. She was having a major fashion emergency before a huge gala in 1913, her dress had to be in the latest fashion, a slinky white satin gown but it showed all the bumps and bones of her corset beneath! 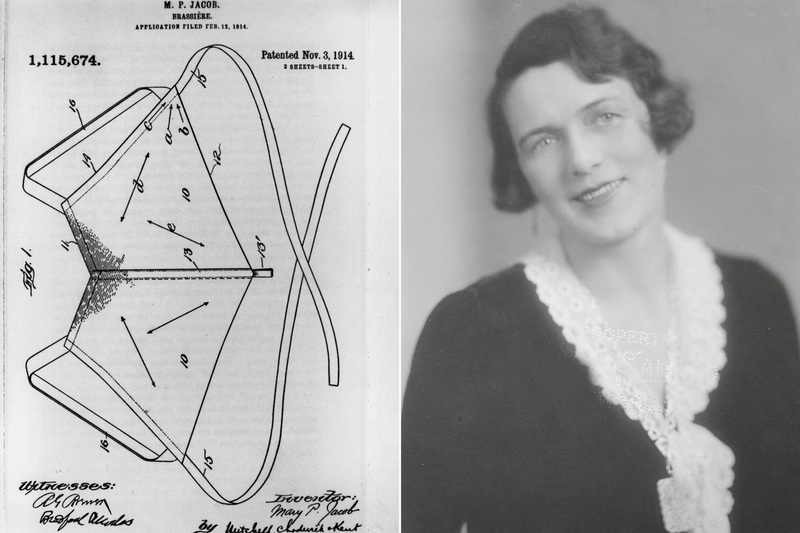 With a few silk hankerchiefs, some cloth and a little pink ribbon later Mary had made herself the first version of the modern bra, and by 1914 she had the first patent to sell the newly coined “Backless Brassier”. The inventor peddled brassieres under the name Caresse Crosby for a short time, before selling the patent to Warner Brothers Corset Co. for $1,500. The styles of bra’s after that varied from decade to decade with the first cup sized bra introduced in 1928, the first strapless and underwire bras in 1934, the popular pointed/cone shaped wear of the 1940′s-60′s and finally in 1975 we saw the first sports bra emerge called the “Free Swing Tennis Bra” and by 1977 the “jockbra” hit stores as women’s athletics began to grow.